This month, we're visiting Beadfreaky, a gorgeous stoneware and porcelain bead shop run by artist Chris Hoffer. 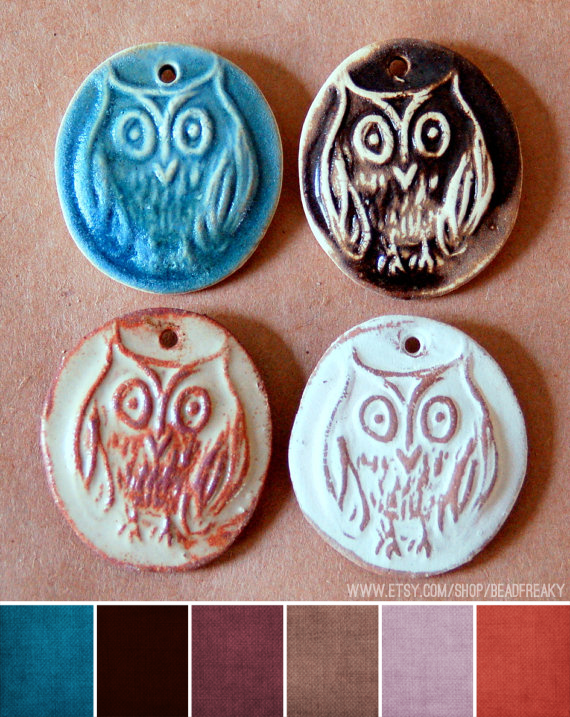 When I first stumbled across Chris' shop, I was smitten with her color choices. The earth tones she uses are so warm, and perfectly compliments the rustic style of her beads. 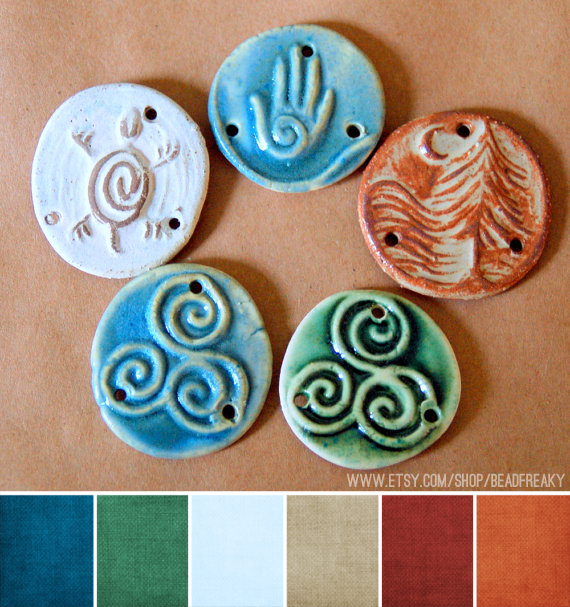 I especially love the pop of blues, purples, and teals next to the warmer terracotta browns and creams. 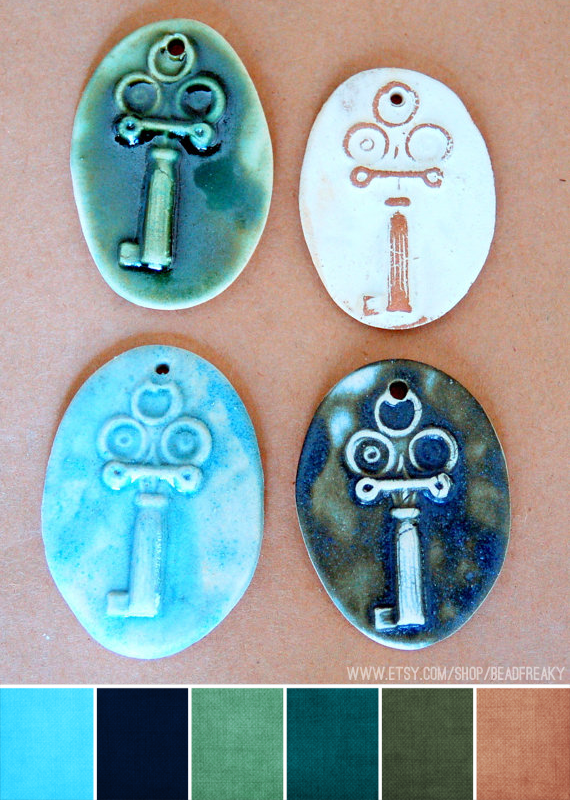 I'm showing just a handful here, so stop by Beadfreaky to see the full range of beads Chris has created! Which palette's your favorite? It's tough, but the last one is really working for me. 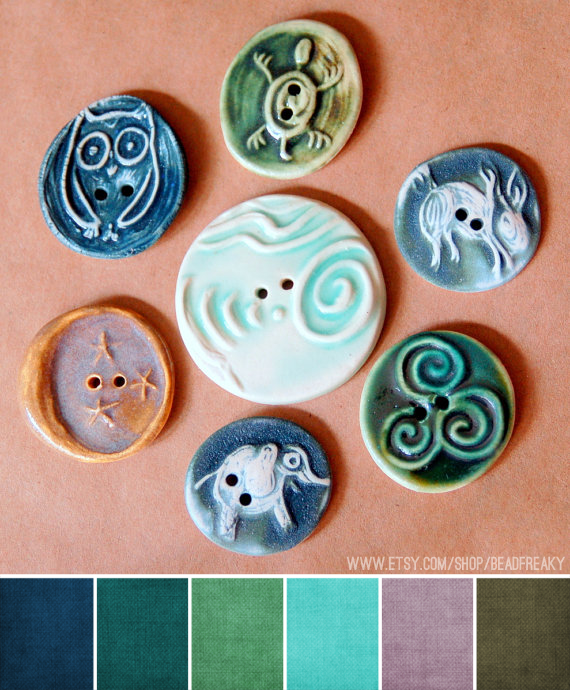 Thanks so much for featuring my beads and buttons Brandi :) Love your the color palettes you've made. I love her work! I have purchased some of her pieces from her Etsy shop!